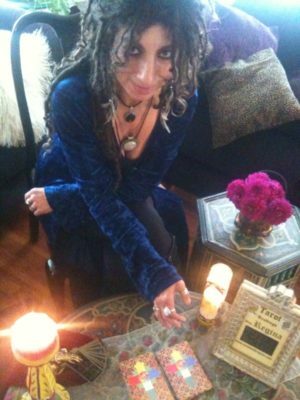 Our Kitchen Table Conversation digs down deep to the bottom of the bowl as we explore the purpose behind our practice, our attraction to working with Tarot and other oracles…as well as with clients. Katrina and Gina are so excited to introduce to you our friend, Regina LaRocca, at the Oracle Soup table. The world is a richer place with her vibrational awareness.